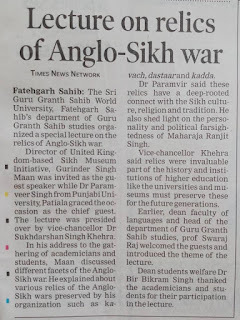 The Sikh Museum Initiative’s Anglo Sikh Wars project has gone from strength to strength and as part of the dissemination on the research activities, Director-Gurinder Singh Mann has been in Punjab to explain the project’s findings. 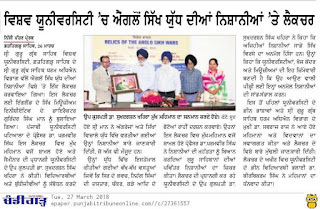 Organised by the Sri Guru Granth Sahib World University in Fatehgarh Sahib, with the Vice Chancellor-Dr. Sukhdarshan Singh Khehra and Dr Paramvir Singh-Punjabi University Patiala. 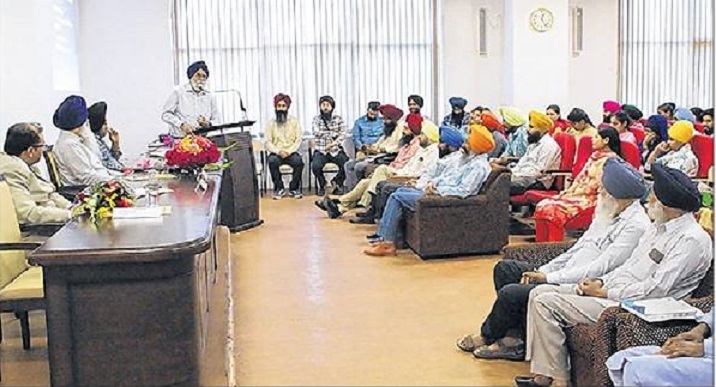 The lecture was attended by the public, staff and students of the University. 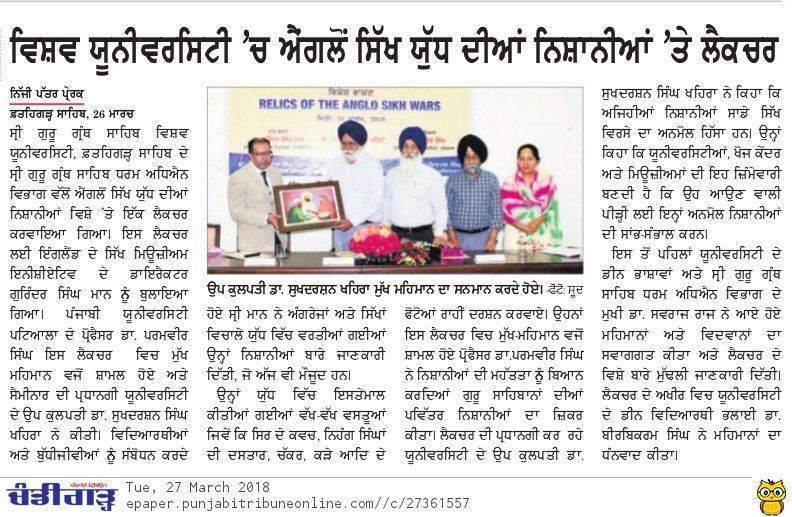 Prof. Swaraj Raj welcomed the guests and introduced the lecture. 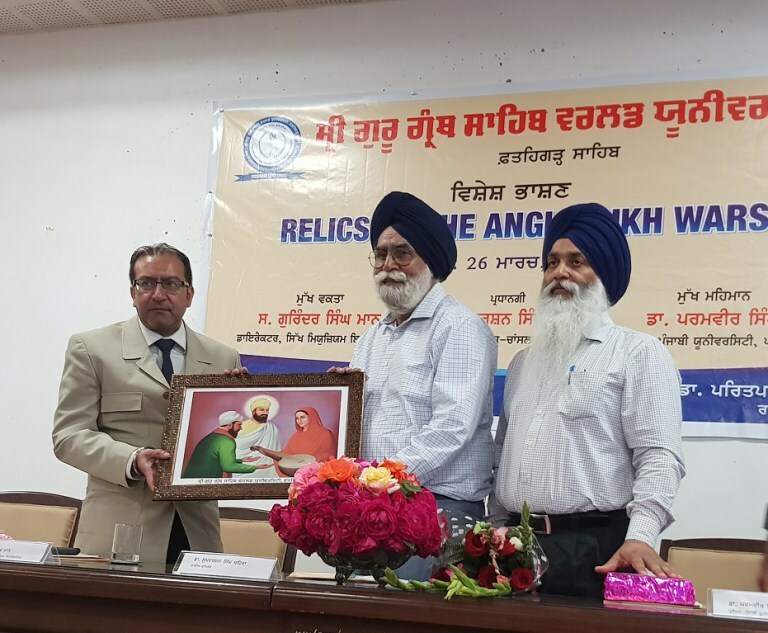 The lecture was followed by a talk on Sikh Relics related to the Gurus’, Dr Paramvir Singh discussed the different relics that are scattered around in the Punjab including the ones belonging to the family of Bhai Rupa. 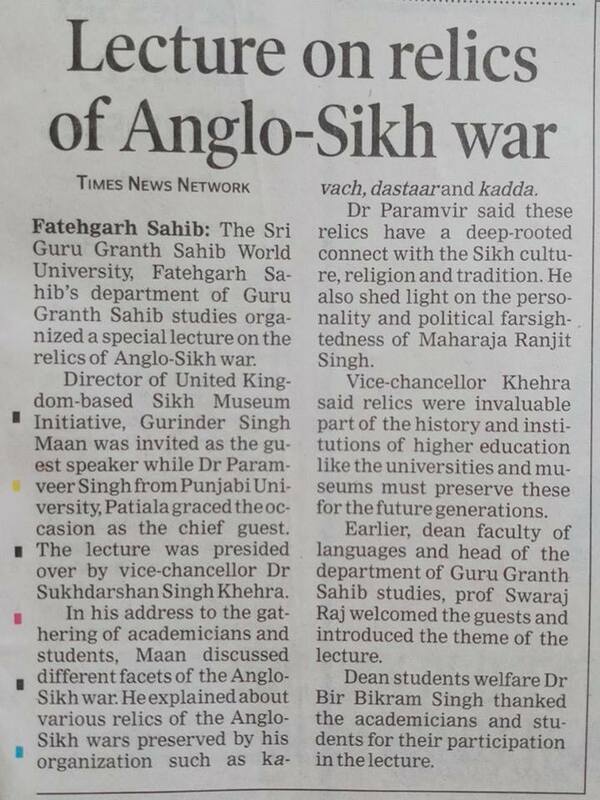 Vice Chancellor-Dr Sukhdarshan Singh Khehra gave a vote of thanks to Mann for the work undertaken in the UK around the subject of the Anglo Sikh Wars and Sikh relics. 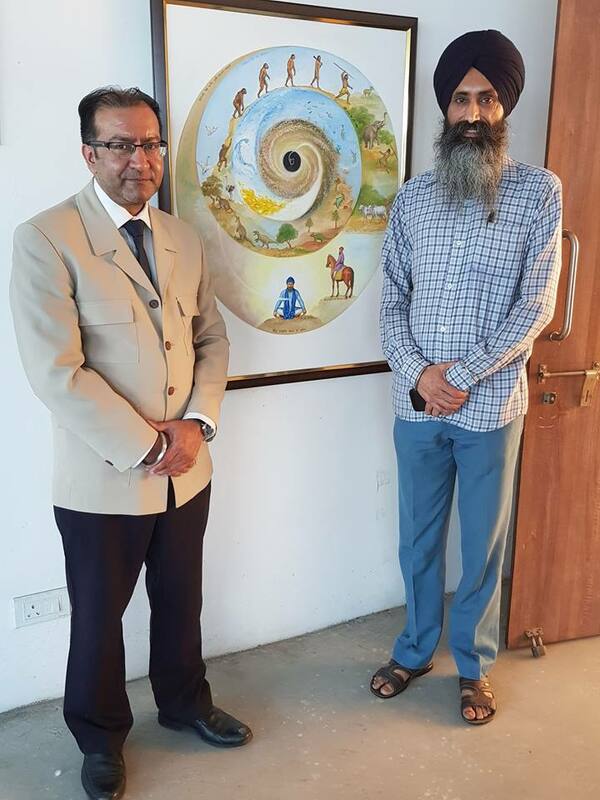 Mann was given a set of books as well as a portrait painted by Harpreet Singh Naz. 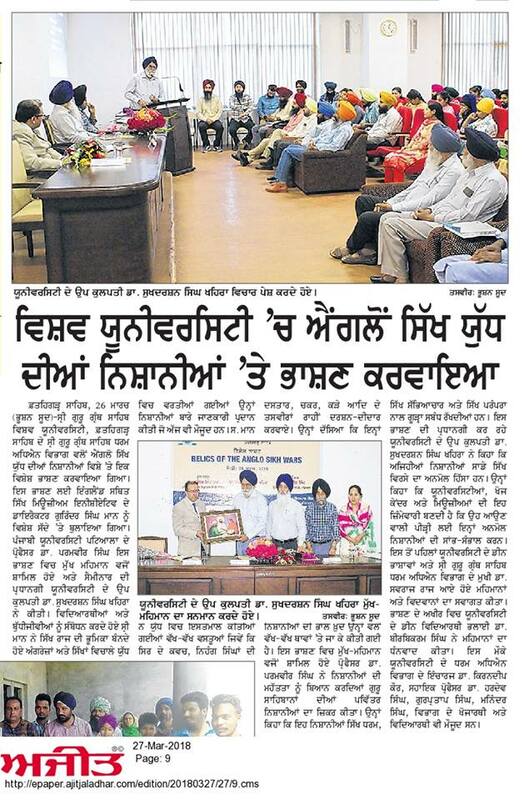 Dr Bir Bikram Singh thanked the participation of the lecturers and the students for attending the special event. Mann was given a tour of the University as well as seeing the Sikh Gallery where many of the portraits created by Harpreet Singh Naz were on display. 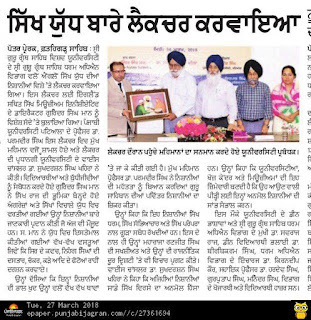 Mann was appreciative of the hard work undertaken by the artist. 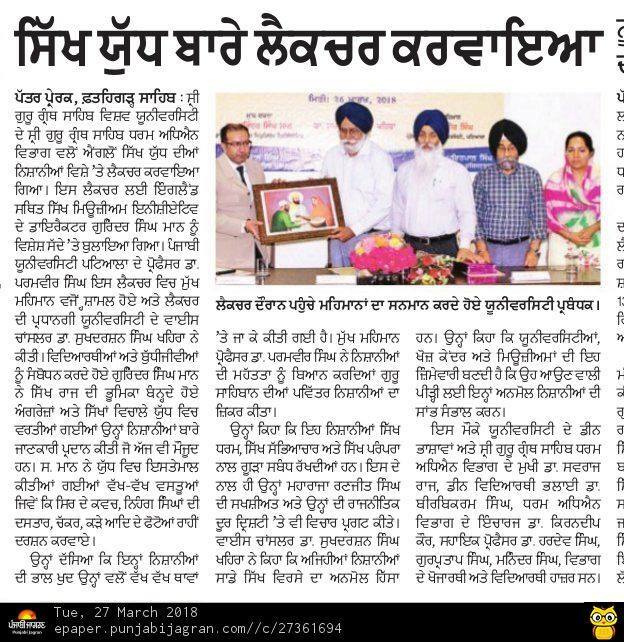 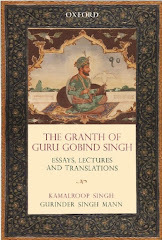 Later in the day Gurinder Singh Mann was given award for the Anglo Sikh Wars project undertaken by the Sikh Museum Initiative-this can be read in a later post. 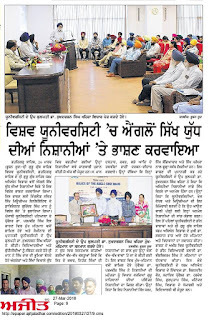 The lecture was picked up by local and national Indian newspapers including the Times of India and the Punjabi Tribune.